PrizeGrab.com is a sweepstake online provider that was developed by a group consisting of prize fanatics – Fun Grab, which a company that operates out of Delaware. 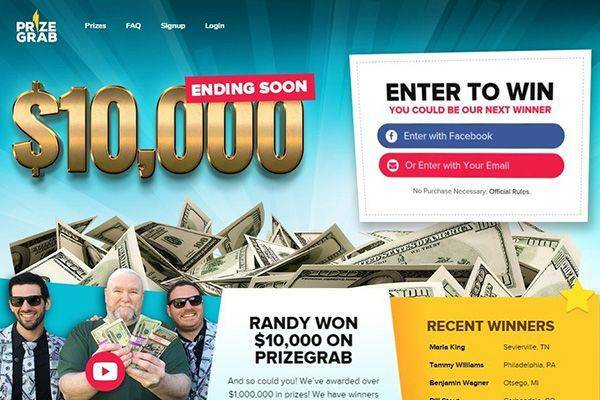 They believe they can bring fun to online sweepstakes and make them more exciting, which is the reason behind the launch of the PrizeGrab website. The sole mission was to make winning prized fun, easy, and simple, and the company believes they have done pretty well so far. But of course, there is still enough room for improvements. The sponsor or office address of PrizeGrab is situated in San Francisco. 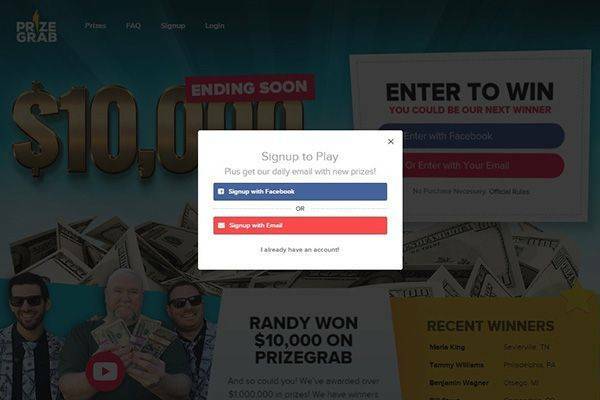 The website is a go-to site where lottery players are given an opportunity to choose from a huge heap consisting of various prizes they can play for. All players have to do is spend hours clicking on the “enter” button in an array of prizes. Coupled with this, the website has some advertising sites linked to it, where players can get access to the sponsored articles. The sweepstakes available on the websites are accessible to legal residents of US Virgin Islands, the United States with the District of Columbia inclusive, Puerto Rico, Guam, and other areas within the US territory, as long as they are 18 years and above. 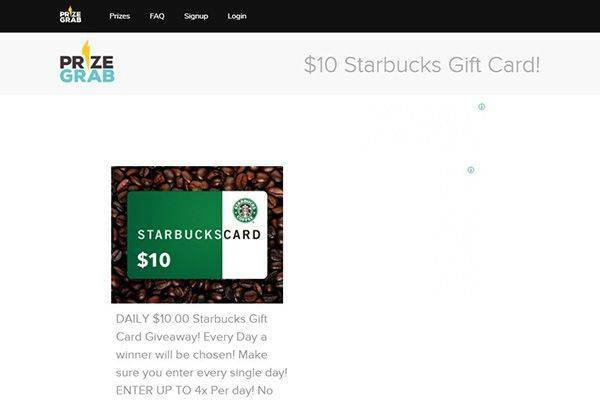 For players to join in this fun website, all they have to do is click the “Prizes” logo at the top of the site’s homepage, click on the “Enter Now” icon under the prize of their choosing. All this can only be done after registering using their Facebook account. 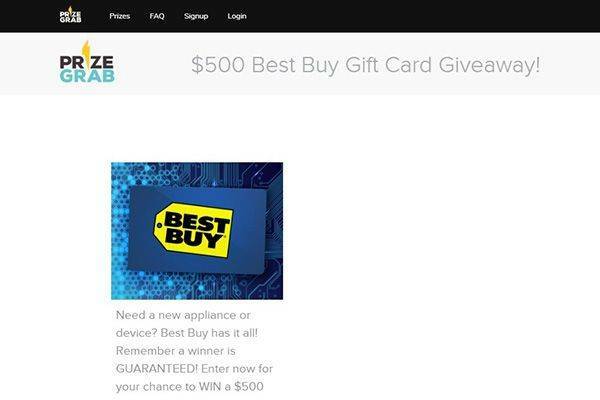 This part might be a bit confusing on the PrizeGrab website because of the prizes on the site range from $10 Amazon gift card to a sum of $5,000 giveaway. For players to win the Weber 3 Burner Propane Grill or a $50 Burger King Gift card, they will need to keep a constant tab on it because the range of prizes usually changes on a daily basis, with no limit to how many entries available. One thing to take note of is that the bigger the prize to be won the longer it takes for the draw to take place, which means that for a $10 Amazon gift card, the draws could be done daily, whereas, for a prize like an Apple MacBook Air, it might take as long as 3 months before the draws are finally done. 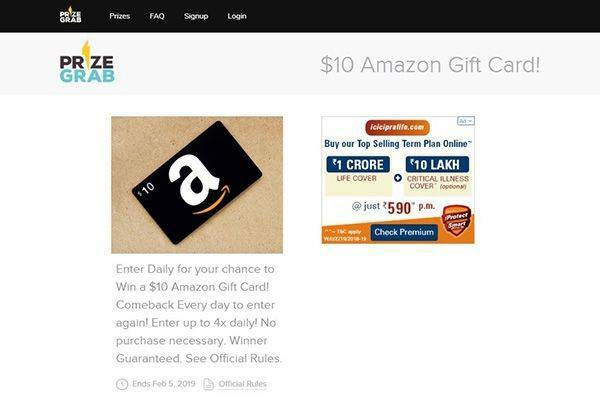 Once a player wins a prize on the website, a notification about their winnings is sent to them via email, after which they would have to submit an affidavit that clarifies their eligibility. This would be followed by a liability claim and a publicity release, all of which have to take place within a specific time. If they are not able to reach players or they do not respond, well that’s their luck because the draws will be re-drawn and another winner will emerge. Every single prize available on the website has its own rules attached to them. However, there is a single term and condition that cuts across all the prizes available no matter how huge they may be. Players have exactly five days to provide a response to the notification that informs them of their winnings, or else they would have to forfeit their prize. Also sometimes, players are able to enter for a prize more than once a day. 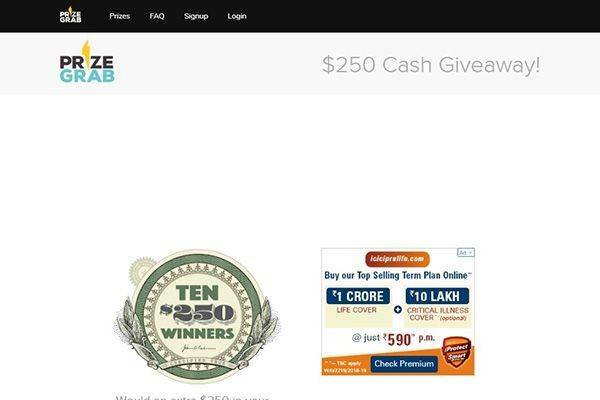 Owned by a company known as Fun Grab, the PrizeGrab website is an online platform where people get a chance to win from a heap of awesome prizes. And guess what? It is completely free. All they have to do is register on the website using their Facebook account, and select from the list of prices available on the site. The website notifies players of their winnings via email, and if players don’t respond within 5 days, they would have to forfeit their prize and the draws will be redone. Generally, the site is fun and exciting, and this is clearly their main aim. However, how huge a prize is will determine how long it would run for, and how long it would take for the draws to be done.